Francis Lawrence—director of the forthcoming Catching Fire, the second installment of the Hunger Games series (out November 22)—on taking over a juggernaut and appeasing its rabid fan base. A few popular YA books have struggled recently as film adaptations, like Mortal Instruments and Beautiful Creatures. Why does Hunger Games work? Author Suzanne Collins was raised in a military family, so she grew up learning about the consequences of war. Even though it’s sort of an alternate world, it’s still relatable. You have all these pedigree actors coming in, from Philip Seymour Hoffman in Catching Fire to Julianne Moore in Mockingjay. You could have had no-name actors, and the fans would have accepted that. If you can have Philip Seymour Hoffman, get Philip Seymour Hoffman! And he loved the books, so he signed on. Same with Jeffrey Wright. Same with Julianne. If you can just get those amazing actors, then that’s 80 percent of my job. Does Jennifer Lawrence still do the karate-running? She hated how she looked running before. 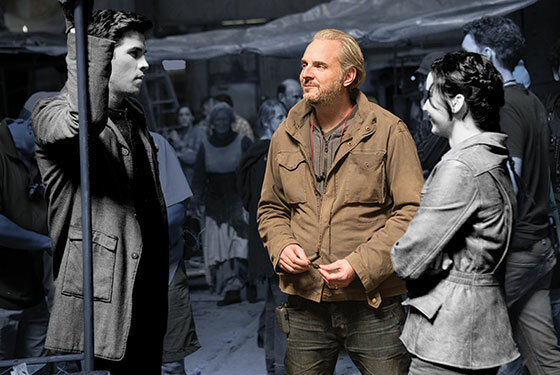 Is Peeta [Josh Hutcherson] still going to be the shortest person onscreen? [Laughs.] No. No, he’s not. It’s fine, actors can step on boxes. [Laughs.] He and Jen get much closer in height when she’s in flats, which is a good thing. You throw her in some heels, and it’s all over. Six insiders on the impact of the YA boom. 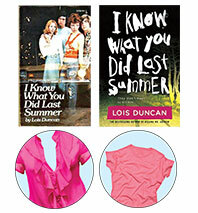 To best capitalize on the growing hordes of YA readers, Little, Brown reissued Lois Duncan’s 1973 classic I Know What You Did Last Summer in 2010. The book was given a noticeably flashy cover, and, perhaps more dramatically, the text itself got a 21st-century face-lift. Aside from that, he didn’t re­­member much, because he had been kissing Julie most of the time during that ride […] Julie had been sprawled in his arms, and she had been wearing a pink blouse with ruffles. Everywhere his hands went, there were ruffles, and they had been laughing about it, and while they laughed they were kissing, and then Helen had screamed. Aside from that, he didn’t remember much, because he had been making out with Julie most of the time during that ride […] Julie had been sprawled in his arms, and she had been wearing a pink T-shirt that clung to her curves and slid up, revealing her flat stomach. Suddenly, while they were kissing, Helen had screamed. He stopped at the counter to pay for his coffee and then stopped into the phone booth by the door and dialed the number of the James’ house. There was a click, a pause, and the sound of the busy signal. The dime fell out through the coin release slot, and he pocketed it, feeling unreasonably angry. He stopped to leave a tip at the counter and then step­­-ped out onto the sidewalk. He took out his cell, and punched in Julie’s number. His cell rang and rang, then went to voicemail. ‘It’s me,’ he said and clicked the ‘off’ button, feeling unreasonably angry. The conversation had left him curious. So curious, in fact, that he hadn’t bothered to go to the dining room for dinner. He had just stopped at a hamburger stand and picked up a couple of sandwiches and a milkshake. The conversation had left him curious. So curious, in fact, that he hadn’t bothered to go to the dining hall for dinner. He had just stopped at a Wendy’s and picked up a couple of burgers and a Frosty. 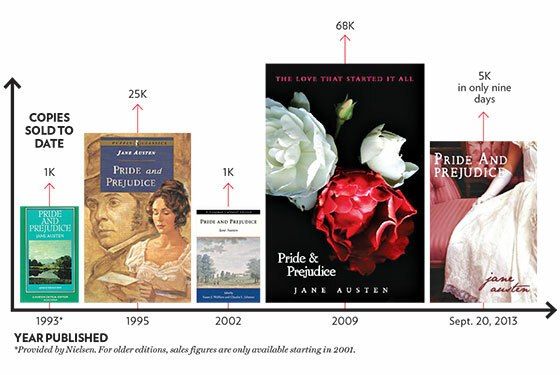 Book jackets of Pride and Prejudice juiced up for the Twilight set.